This charity-funded service provides a range of interventions for patients, carers and staff aimed at improving health and wellbeing. Over the last 15 years the service has expanded across four sites and delivered over 13,000 interventions in the last 12 months. Work focuses on health and wellbeing; patients with anxieties, panic and phobias associated with medical procedures; assisting with complex symptoms, such as mucositis, cancer-related fatigue and peripheral neuropathy. Patients, carers and colleagues help drive the work –providing feedback and support. In these times of austerity and a demand for quality evidence, it is essential that charity-funded services demonstrate safety, efficacy, value for money and sustainability. 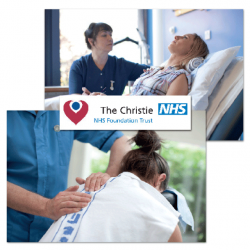 The Christie is a major cancer centre in the North West with satellite centres in three hospitals’ sites (Wigan, Oldham and Salford) and a Chemotherapy Mobile Unit (CMU). The Trust’s complementary health and wellbeing service has expanded to maintain an equitable service at all sites. The team consists of 36 therapists and health advisors, including seven volunteers. It is nurse-led, with both Clinical Leads having a background in research (PhDs), teaching and clinical work. We offer support from diagnosis into treatment through to recovery and survivorship or progressive disease and end of life care. Patients present with a range of physiological and psychological concerns related to their illness and treatment side effects. In addition to supporting patients, we provide services for carers and staff to assist with anxiety, wellbeing and making lifestyle changes. Because our flagship work is charity-funded, it is imperative that we are vigilant in validating the efficacy of our interventions and we use various methodologies to provide such data. The team collaborates with universities to conduct single and multisite trials, in addition to undertaking local audit and evaluation projects. To provide data so that our services can be replicated and made accessible to patients with cancer nationally. To continue evolving our work to offer additional management tools for clinical issues, which are complex and hard to manage using standard care alone. 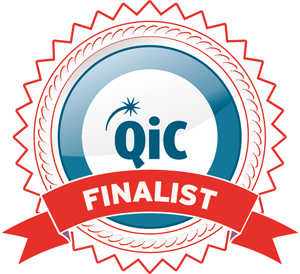 To provide training to therapists and healthcare professionals, as well as teaching patients and carers interventions. To disseminate our audits, service evaluations and research work via publication and national/international conference/poster presentations.